Cribbing occurs when a horse develops a pattern of movements that is repeated over and over involving setting the upper teeth on an object such as a fence post or corral rail, opening their mouth, arching and flexing their neck and pulling back while making a grunting or belching sound. Some horses appear to swallow air and, therefore, the term wind sucking is often used interchangeably with cribbing. Stress and boredom seem to be two of the main causes of this bad habit. Cribbing does seem to give the horse a "high," and may relate to the behaviors in people known as obsessive compulsive disorder. Once a horse begins cribbing, getting him to stop is difficult. Cribbing may lead to serious health problems including poor digestion, colic, dental problems, and less than optimal performance. The horse does not chew the wood, although it may be damaged in the process. Wood chewing is a separate bad habit. Many authorities believe this stable stereotypy is an example of obsessive compulsive behavior and that the horse gets pleasure through the release of endorphins, while at the same time relieving stress and boredom. It is not known for certain exactly what causes a horse to crib. Horses by nature are gregarious, roaming animals and living in a stall with limited grazing, long periods of confinement, and without anything to chew for long periods of time is very different from the activities of horses in their natural environment. When frustrated, most horses will find ways to satisfy their physical and psychological needs. As is the case with humans, some horses may adapt to a challenging environment by finding ways to stimulate the pleasure chemicals in the brain called endorphins in the same ways that humans find pleasure in exercising, eating or taking drugs to satisfy their physical and psychological needs. Among the theories used to explain cribbing, genetics, stress, boredom, lack of socialization with other horses, improper diet and feeding, lack of exercise, and too much confinement are considered to be possible causative factors in contributing to this stable stereotypy, which, in a short time, may become a full blown stereotypy. Cribbing has not been noted in wild horses in a natural environment. By considering how horses live in a natural environment and taking cues from what is known about the history of horses, most horse owners should be able to adapt their particular situation to better meet the needs of the horse that must live in a stall with little stimulation or activity to help relieve stress and boredom. The most effective prevention should take into consideration the horse's needs for an active, stress-free environment with plenty of opportunities to graze, socialize with other horses or animals, and spend as little time in the stall as possible. .
Once a horse begins to crib, stopping the behavior may be very difficult. A cribbing strap or halter may be useful. Both the strap and the halter, make it difficult and uncomfortable for the horse to make the repetitive motions involved in cribbing. Some success has been attained by giving the horse access to a mineral block 24 hours a day. This gives a horse an opportunity to lick and chew whenever he might feel the urge. Access to fresh grass or grass hay may also satisfy the chewing and swallowing urges. It is commonly believed that cribbing can be a learned behavior, so separating horses with this tendency from other horses is important. Genetics may also play a part in this behavior. 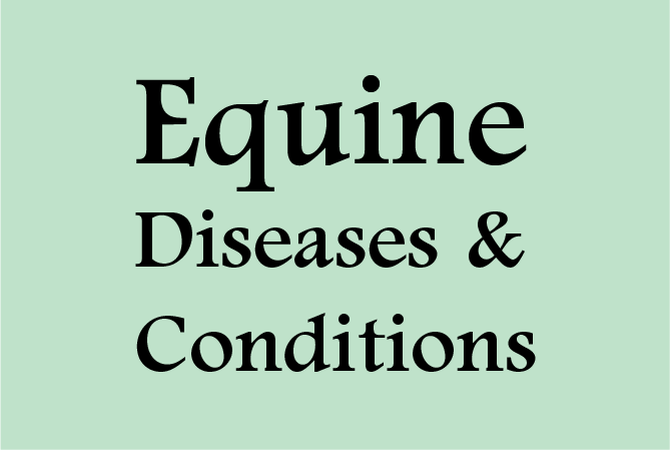 Awareness of the background of the horse is important in this case so that preventative steps can be taken to minimize stress and other factors that might lead to a horse developing this bad habit. In some cases, surgery involving cutting neck muscles and nerve tissue may be recommended, but the success rate is not high and all other alternatives should be considered first.